A new legal framework governing real estate development projects in Sharjah was recently introduced by the Sharjah Executive Council. Developers, real estate brokers and other consultants should carefully consider this new regime and, in particular, the expanded regulatory function of the Sharjah Real Estate Registration Department (‘SRERD’). The applicable law is Executive Council Resolution No. 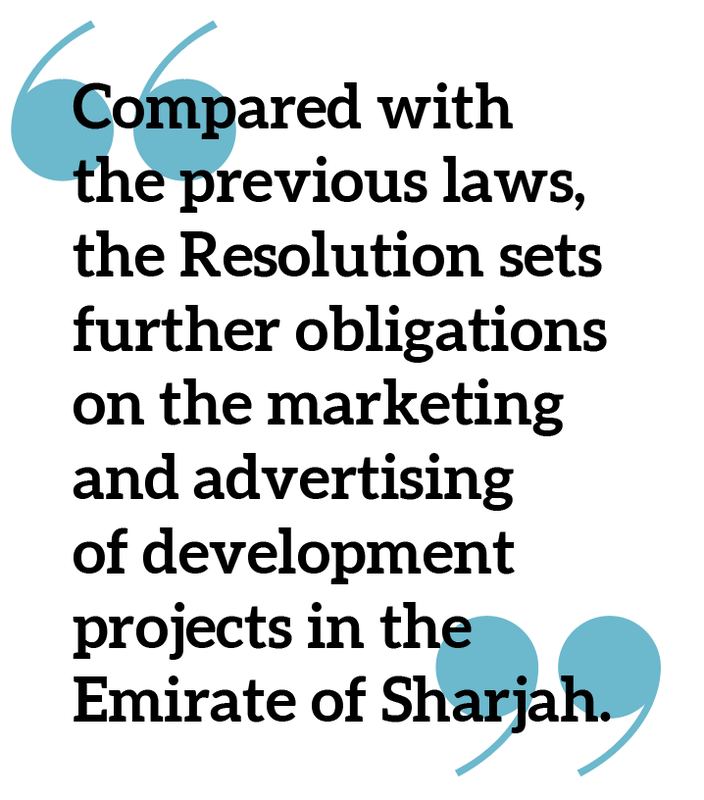 (34) of 2018 on Selling Real Estate Units in the Emirate of Sharjah (‘Resolution’), which revokes the previous Executive Council Resolution No. (25) of 2011 and any other provisions inconsistent with the Resolution. In this Article, we highlight and discuss the key elements of the Resolution. The Resolution provides SRERD with wider regulatory authority over real estate projects, and in particular, the ability to regulate and monitor off-plan developments (including aspects such as developer licensing, project registration, marketing and sales). SRERD will also have responsibility for coordinating with other governmental or non-governmental bodies regarding the issue or suspension of relevant licences, and for supervision of development projects in the Emirate of Sharjah. 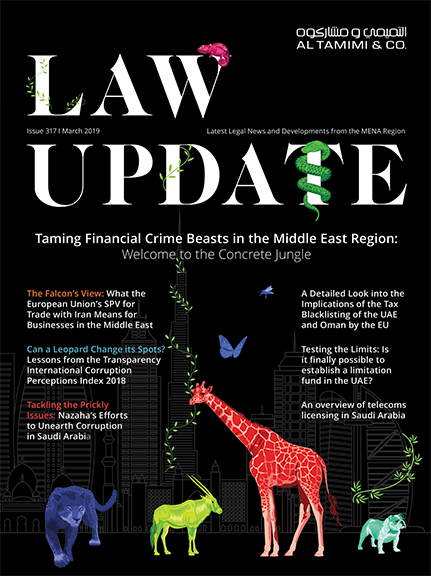 It is worth noting that the previous laws provided that project licences were granted on an exclusive basis to UAE nationals and GCC nationals. Other nationals must seek the approval of H.H. the Ruler of Sharjah. other nationalities (whether or not resident in the UAE) approved by H.H. the Ruler of Sharjah in respect of approved areas. open a bank account in the name of project, from which funds shall be allocated for construction and management of the project in accordance with the Resolution. These obligations indicate that SRERD will actively and closely monitor developers and the progress of development projects in the Emirate of Sharjah. Similar to the previous position, the Resolution requires that developers provide a bank guarantee to SRERD as a condition of project registration (20 percent of the project value). title deeds (freehold or usufruct) for units in the project have been issued by SRERD. Article 7 of the Resolution states that any property mortgage/development finance must be exclusively allocated for the construction, implementation and management of the project. It further states that finance value shall not exceed (50 percent) of the project value (as approved in the building permit issued by the municipality or approved by infrastructure licence of the RTA). This value may be increased in exceptional cases with the consent of and under the conditions determined by the Sharjah Executive Council. Further, Article 8 states that SRERD shall review the mortgage contract between the developer and the mortgagee before it is executed. SRERD may also contact the banks operating in the UAE, including the Central Bank, to ensure that any decisions issued by SRERD in this regard are put into effect and also to obtain proof of the release of the relevant mortgage prior to issuance of the building completion certificate for the project. In line with the real estate laws in the Emirate of Sharjah, the real estate mortgage shall be valid only after registration. Article 9 of the Resolution prescribes that purchasers’ payments due under an off-plan sale and purchase agreement must be in proportion to the construction progress for the project. That progress shall be determined by the project status reports issued by Sharjah Municipality or the RTA (as applicable). Further, the value of the first instalment paid by the purchaser must not exceed (20 percent) of the purchase price, unless the parties expressly agreed otherwise in the sale and purchase agreement. if the purchaser is not a UAE national or GCC national: four percent of the purchase price fully paid by the purchaser. SRERD and the relevant authorities shall not register sale contracts that are not in the form ratified by SRERD. The Resolution retains the previous requirement that following completion, a developer retains ownership of at least 10 percent of the units in a project. The Resolution now provides an alternative to that approach, whereby the developer may provide SRERD with a bank guarantee equal to 10 percent of the project value. 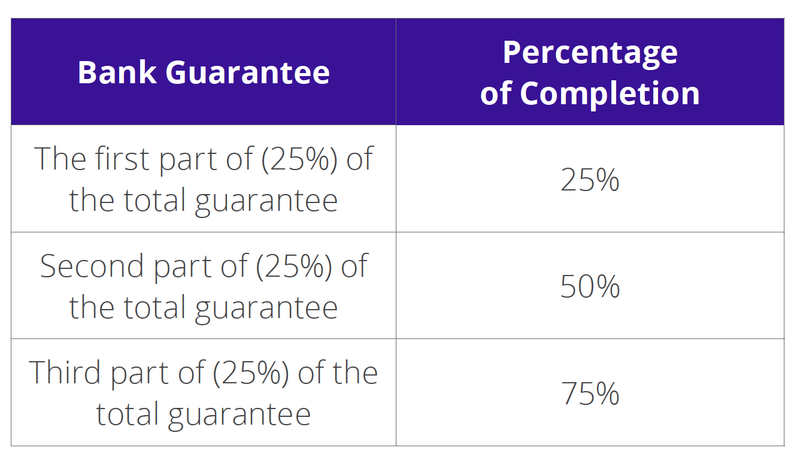 This guarantee must be unconditional and payable on demand. A developer may not dispose of the retained units or, if applicable, request the release of the bank guarantee unless it provides proof of the establishment of a unit owners’ association for the project, including the election of its board of directors in accordance withLaw No. (4) of 1980 Regulating Ownership of Multi-Storey Buildings, and any other relevant legislation in this regard. licenced real estate brokers outside the Emirate of Sharjah must obtain SRERD’s prior approval to advertise projects located in the Emirate of Sharjah. It is apparent from the above that SRERD intends to take a stricter approach with respect to the marketing and advertising of development projects. The Resolution generally retains the previous regime for a developer to seek cancellation of a registered project. Developers must still apply to SRERD for cancellation and provide details in support. If SRERD, in its discretion, accepts the developer’s application, then the developer must follow a notification procedure. Importantly, there is now a requirement that notification of the proposed project cancellation be published in two local newspapers and in both Arabic and English, using the prescribed form of declaration. As per the previous regime the developer must also notify the purchaser(s) of the proposed cancellation of a development project through registered mail. The time period in which purchaser(s) must notify SRERD of their objection to the cancellation application remains at 15 days from the date of receiving the developer’s notification. If the relevant period expires, without objection by any purchaser, then the cancellation procedures of the registration or suspension of services for the project shall be completed by SRERD and the relevant competent authorities. However, if a purchaser objects to the cancellation of the project, within the period specified in the declaration, then the cancellation procedures shall be suspended by SRERD until the developer has settled all related disputes and objections. The Resolution broadens the scope of violations, and it identifies further violations that are subject to penalties. These are detailed in the schedule attached to the Resolution. concerned parties shall refrain from continuing to provide government services and stop all work, unless a defaulting developer amends all violations within the period determined by SRERD in accordance with the Resolution. In conclusion, the issuance of the Resolution provides SRERD (and other relevant authorities in coordination with SRERD) with wider regulatory authority over real estate development projects in the Emirate of Sharjah. The authority for SRERD to more rigorously monitor and ensure compliance by developers and other parties operating in the real estate market in the Emirate of Sharjah can only boost confidence of investors in the real estate sector. Developers, in particular, should familiarise themselves with these new regulations to ensure compliance going forward. Al Tamimi & Company’s Real Estate team regularly advises on real estate matters. For further information, please contact Andrew Balfe (a.balfe@tamimi.com) or Salman Khaled (s.khaled@tamimi.com).